With his latest track, “Peach Pop”, Ableton Certified Trainer and musician Josh Bess opens up a window into his workflow with Live and Push, custom Racks, and setup for performing live. Josh has graciously made the original “Peach Pop” Live Set (set up intelligently for working with Push), along with an additional Set that documents how he’ll be performing it live, available for a limited time as free downloads. What is your background as an artist? How did you come to Ableton Live? 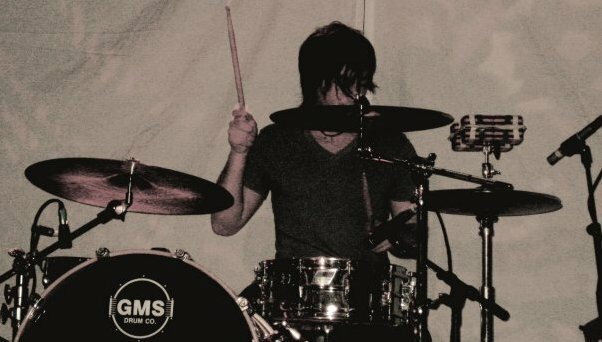 I've always been a drummer, playing various styles of music such as Rock, Pop, Blues, Jazz, and other styles with various bands and artists. It wasn't until about 2006 when I really started getting into electronic music creation. I started out creating loop-based music with the drum kit, along with adding other electronic elements from a Roland SPD-S, sending the audio through various loop pedals and effect processors. I was introduced to Ableton Live around this time, and when I figured out how the Session View worked, being able to record live loops into Audio and MIDI clips, as well as using the External Audio Effects device, I made an immediate jump over to Ableton Live. Being a drummer, I didn't want to lose that feel of playing and performing with a drum kit, and Ableton Live allowed me to do this, combining both the electronic workflow with my live performance mindset. How long have you been working with Push? I've had Push since the release, and it's been one of my favorite pieces of gear since. When I first started working with Push, I was mainly using it as a control surface for my production. I loved the layout and how connected the controls were with Live, to create a fluid workflow. It wasn't until recently when I started using it for my live performances. How did you use Push for building different parts in “Peach Pop”? The great thing about Push is that it completely relates to my workflow, which is combining the writing/production of my music with the ideas of live performance. While writing the tune, I am able to simply move between tracks and write parts with the Note Mode on Push, along with jumping between various ideas in the Session View, and recording my ideas in real time. Being a drummer, I really enjoy writing parts by playing them live, which is how I created most of this tune. I would create Drum Racks with the desired sounds and record them live into Session View Clips or the Arrangement View. From there I arrange and process the sounds as needed. The video of you playing “Peach Pop” live is impressive – can you go over how you're using Push in a performance setting? The way I use Push in a performance setting is very different from the way I use it in the production process. For live performances, I focus mainly on Push's User Mode, mainly because it allows myself to create any layout I want for the Push, allowing a seamless performance workflow for my live sets. As seen in the live video for Peach Pop, I am able to section off corners with LED lighting feedback to the Push, to create the sense of having multiple controllers in front of myself. The bottom left corner is sectioned for vocal samples, the bottom right corner triggers effect samples, and the top section is where I live loop lead parts, with the use of recording MIDI data into looped MIDI Clips. The knobs above the pads are used to control various audio effects such as chorus, flanger, delay, reverb, filters, and more. Since the Push is in User Mode, I can arm multiple tracks holding drum racks in Live and play them all simultaneously. To play each sound, I'll simply place an audio samples on a Drum Rack pad, which corresponds to the Push's User Mode pad note. Alongside the Push I am using a Keith McMillen QuNeo, which works great with the Push and Live. The great thing about this setup, is that I can choose the MIDI Track Ins and Outs in Ableton Live, to communicate with each controller individually, to avoid any cross interaction between MIDI Tracks and controllers. This allows me to designate a specific instrument or device to each controller, which opens up a lot of space for freedom and improvisation for my live shows. When playing live, how do you decide which parts of a track to break up into loops – is it the same for every track? Or do you use different segments depending on the track? For my live sets, I like to break up my tunes into 4 or 5 main groups, which are Drums, Bass, Lead, Vocals, and FX. Within those groups, I break the most important pieces into their own track. For example, I'd break down the Drums group into Kick, Snare, Clap, Hi-Hat, Shaker, etc.. This being the case, every tune will have a different layout, but I try to keep them closely related as far as the Live Set layout goes. Doing this allows me to play each piece of the song at any moment, along with giving me the freedom to mix and match various parts of a tune with itself or another tune. Alongside the tracks holding audio stems, I enjoy performing with MIDI Tracks holding Drum Racks with all of the tune's samples. For example, I'll have a Drum Rack holding drum samples on track 1, lead samples on track 2, vocals samples on track 3, and FX samples on track 4. This allows me to play any given part of a tune live, and depending on the feeling of the night, the crowd, and myself, I'm able to play these parts differently for the given mood. As a drummer, this is my favorite asset to the live performance, which allows myself to bring a human feel to the tunes, along with improvisation. There’s some really cool effect racks for live performance in the Live Set – are there any particular favorite effect combinations that you'd recommend trying out? I have so many favorite effect combinations, but I'd say a secret weapon that I've found is Ableton Live's Chorus, mixed with a Ping Pong Delay. By boosting the Chorus feedback you can really turn this Audio Effect into a powerful tool, I will map out the Chorus Amount, and Rate to the same Macro knob as a Ping Pong Delay's Dry/Wet knob. I set a maximum point for each parameter so they don't get too out of line, and it creates one of my favorite effects, which I use quite frequently in both my production and live sets. What does "peach pop" mean? Why did you decide on that as a title for the track? That's a great question, and being the main line of the song, the title “Peach Pop” felt fitting for the tune. How the phrase came about was a funny experience, along with an unexpected method for recording a vocal track. The tune first started as an instrumental, and I really enjoyed the vibe, but I knew from the start I wanted to have a deep vocal track on this. A good friend of mine, Andy Kim, has one of the deepest voices I've heard, so during an impromptu "recording session", I whipped out my phone and recorded him speaking various phrases. The funny thing is "work it like a peach pop" wasn't actually the full line. It started off as "work it like the bottom of a tootsie roll peach pop," which is what I occasionally play during my lives sets. Honestly, it could mean so many things, so I'll leave that interpretation up to the listener, but as far as the flow and feel of the phrase, I shortened it to "work it like a peach pop."